Rumors and speculations regarding the Nvidia GT 1030 have been all over the place these past couple of weeks but now we have confirmation that it exists. 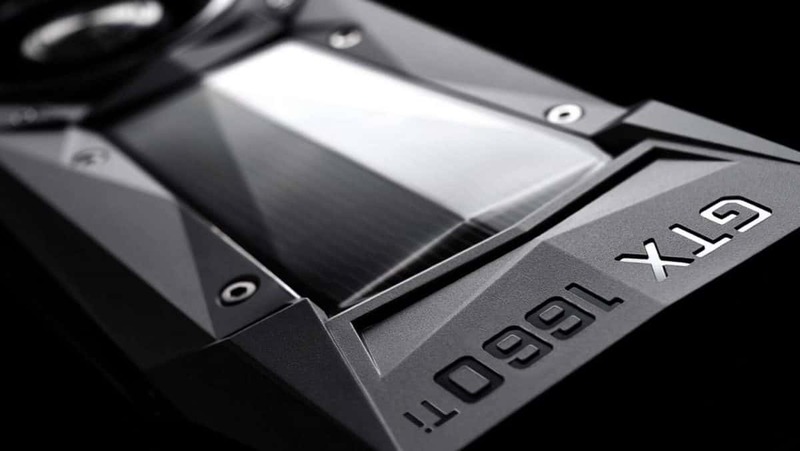 Here we have picture proof that the Nvidia GT 1030 is a real GPU and we have some new details regarding price and specifications of the upcoming GPU. 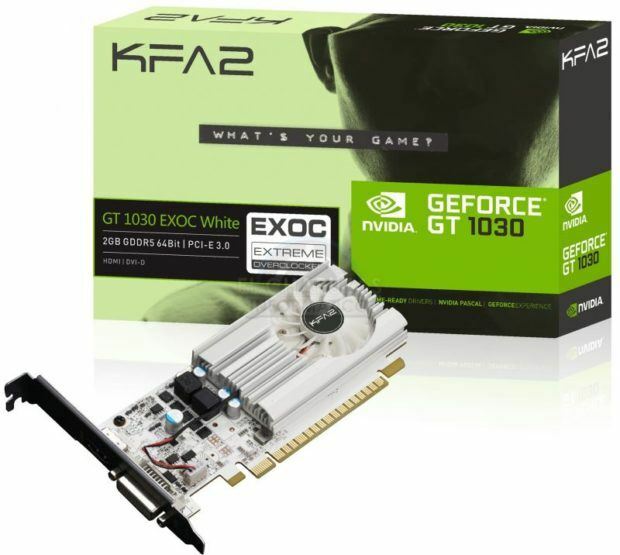 Here we have the leaked packaging of the KFA2 GeForce GT 1030 EXOC White which comes overclocked out of the box. 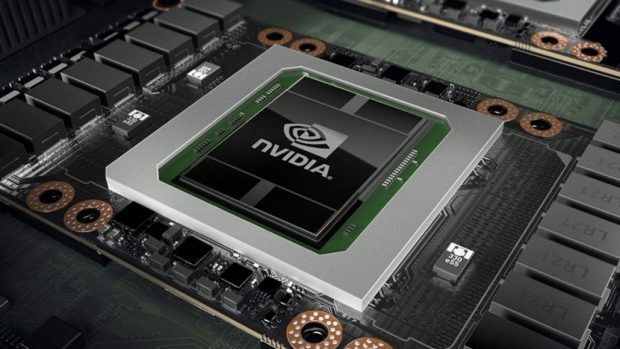 According to new reports, the GPU will feature 2GB GDDR5 memory and 64-bit memory bandwidth. It is based on the 16nm GP108 GPU. It has 384 CUDA cores instead of 512, which we previously heard from sources. The GPU operates at a 1252 MHz base clock and 1506 MHz boost clock. Reports claim that the GPU will cost 80 Euros which I think will translate to $80 in the US. This is the last GPU that will feature the Pascal architecture and we are expecting to see Nvidia Volta based GPUs by the end of the year or early 2018. We talked about how AMD Vega and Nvidia Volta are different architectures and both are taking a different direction when it comes to memory, you can check out that article if you are interested in learning more about the two architectures and upcoming GPUs that both companies will have to offer. The Nvidia GT 1030 is a refresh to the GT series which we have not seen in the past 2 years. It will be competing with the AMD RX 550 which is also a GPU that is under $100. Nvidia has dominated the market throughout and has taken AMD head on at every price point and it is doing the same for the sub $100 market as well. It will be interesting to see what kind of performance both these GPUs will have to offer considering the price. I will not be surprised if Nvidia comes out on top again. Let us know what you think about the Nvidia GT 1030 and whether or not this is something you fancy.